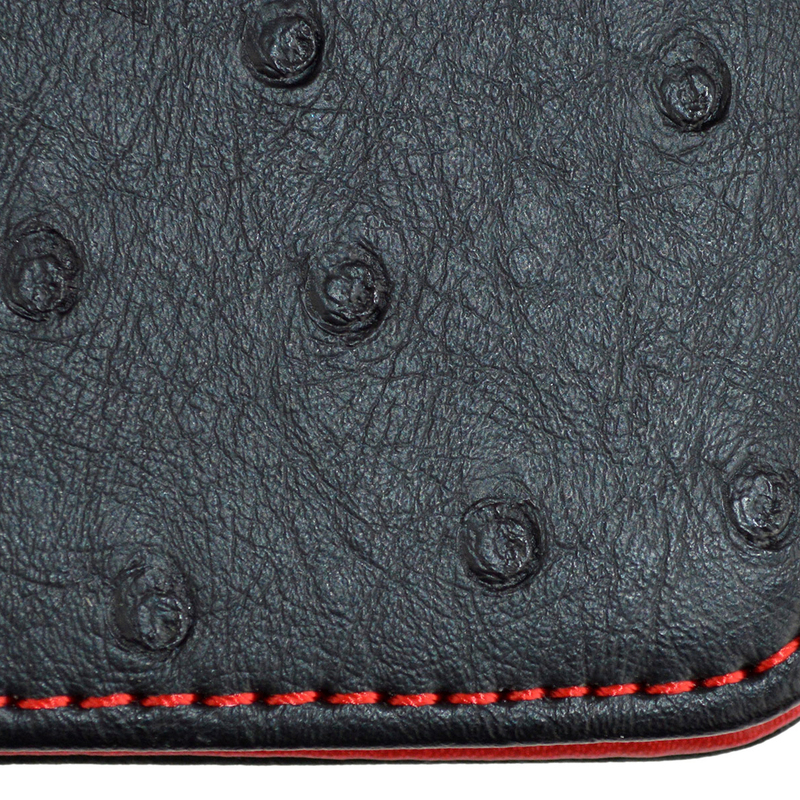 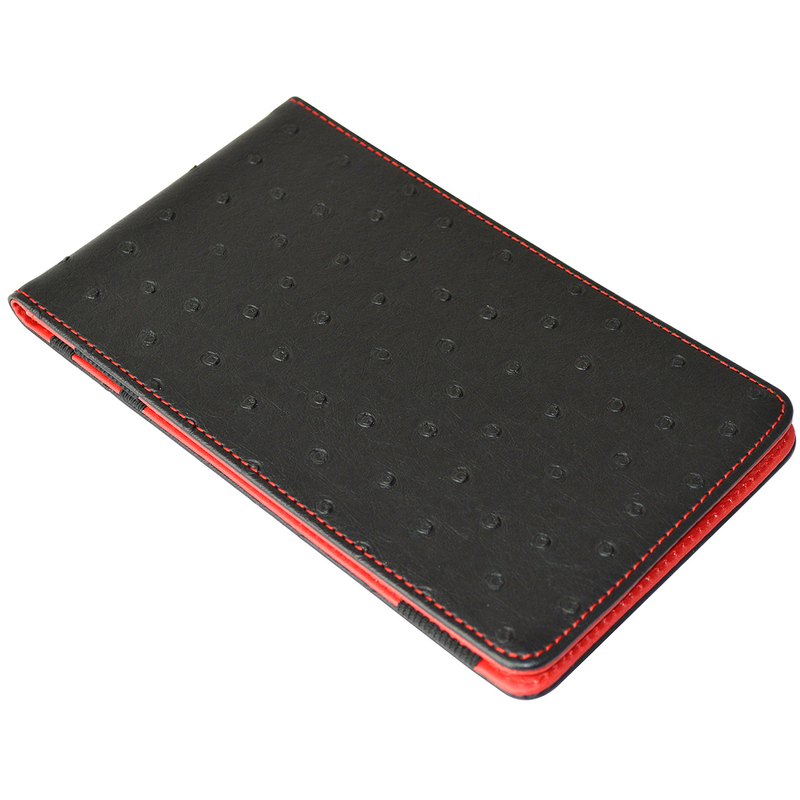 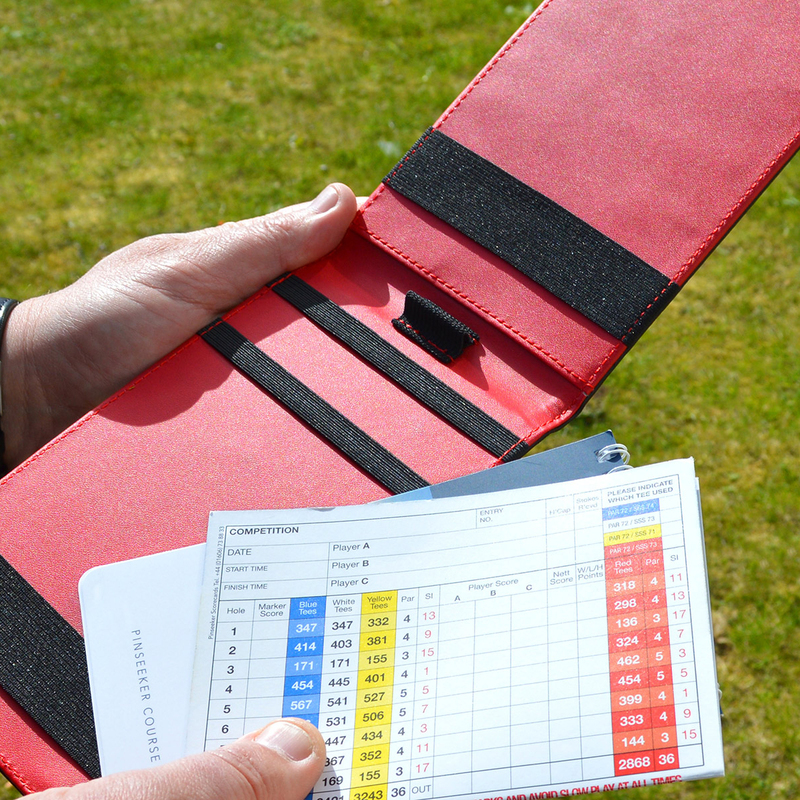 The Premium Ostrich scorecard holder provides excellent functionality and quality, and is large enough to accommodate any scorecard size. 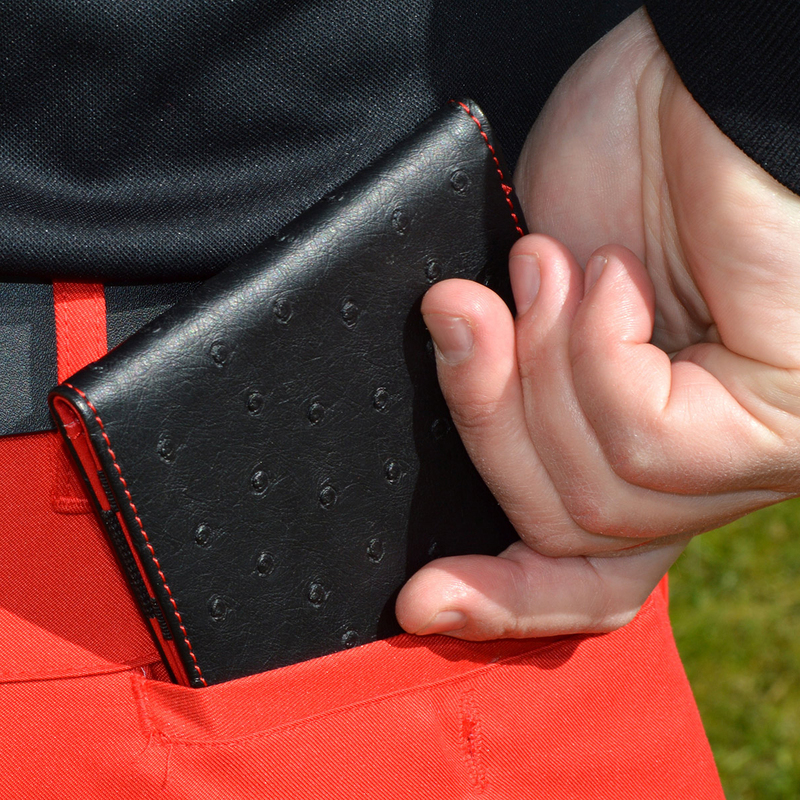 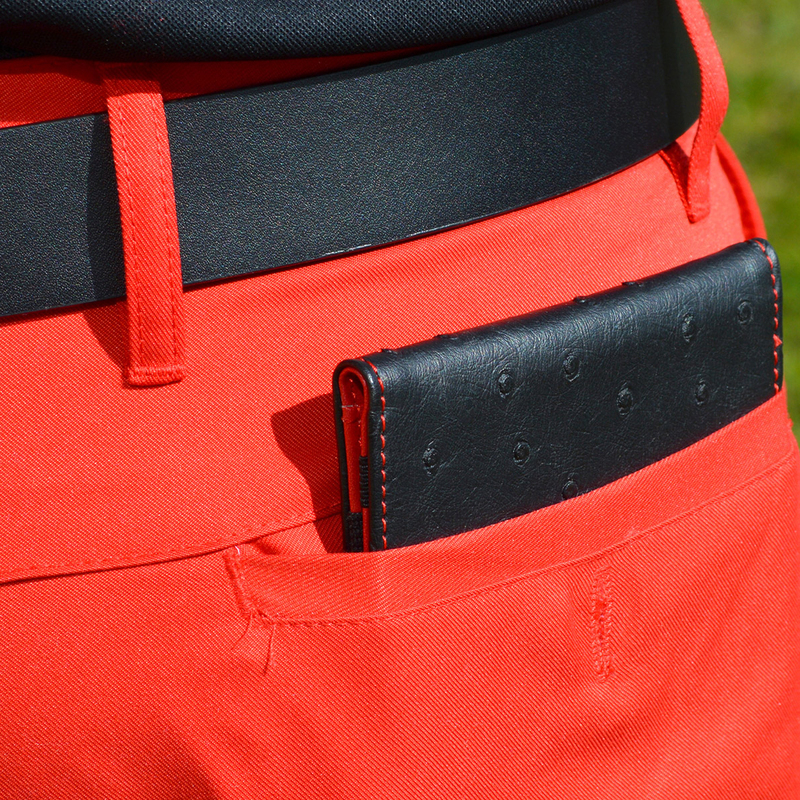 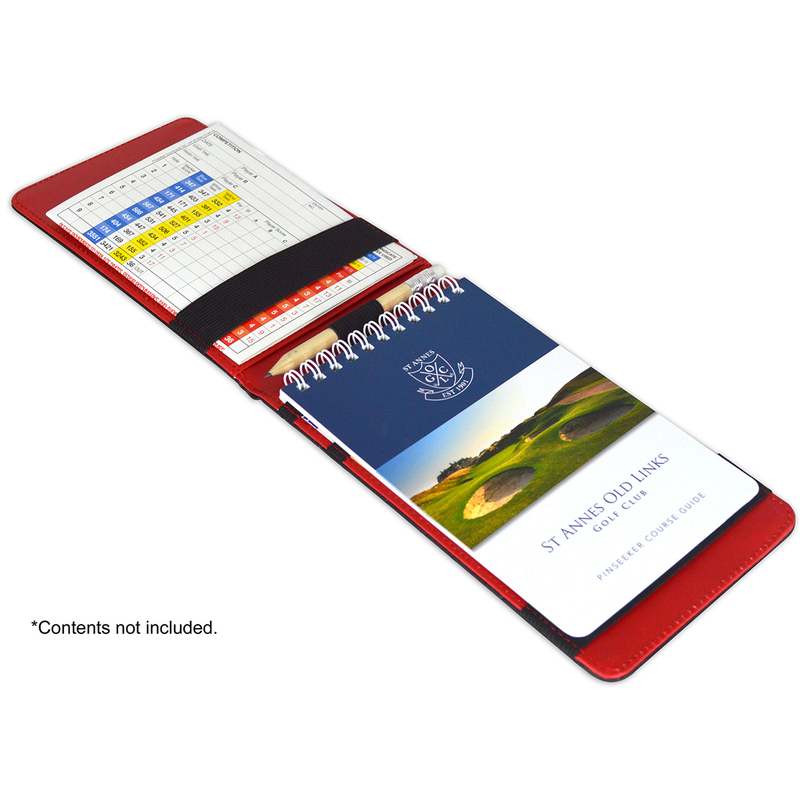 The scorecard features a durable faux leather outer cover, and has 5 internal elasticated straps and pocket to secure your scorecard and yardage book, plus has a pencil holder which is perfectly positioned for ease of use. 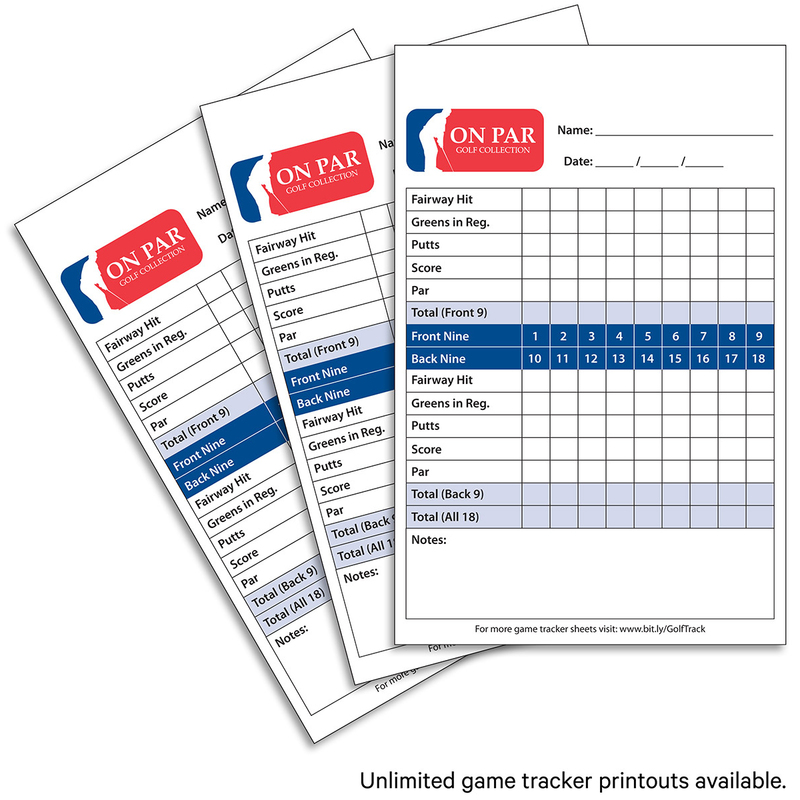 Download unlimited Game Tracker printouts from the URL on the back of the packaging.